The production area of ‘Re Fiascone’ is the Amalfi Coast. 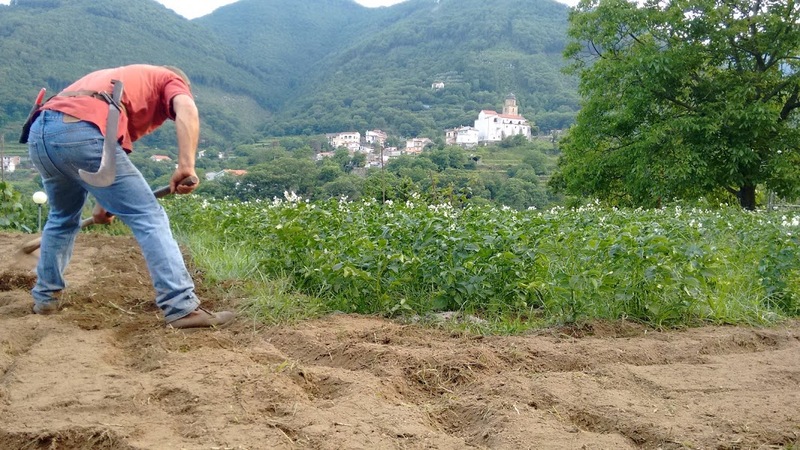 The farming land for the cultivation of the King Umberto tomato is situated in the community of Tramonti and its 13 villages, a mountainous area of the Amalfi Coast. In 2015 there were five farmers who had received from Acarbio association the almost extinct seeds and contributed to the first experimental production. In April 2015, the first seeds were planted in the pure and unpolluted land of this area. This area is a UNESCO Heritage and has a healthy climate thanks to the proximity of the sea and the absence of pollution factors. The tomatoes are grown in a mild climate enjoying plenty of sun and the wind coming from the coast. Moreover this land is very rich and fertile thanks to the peculiar volcanic soil, which can be found in the upper layers of the ground due to the ancient eruptions of the Vesuvio that reached also these area with debris and ashes.